Lori Gabrek is a healthcare executive who has spent over 25 years building and growing commercial organizations. Her experience includes 20 years of increasingly complex roles at Roche Diagnostics, where she led sales and marketing teams serving as the Vice President of the Point of Care Division. Interested in a broader business role, Lori joined Beckman Coulter, Inc, and served as the General Manager for the $400M Life Sciences Business Unit. In this role, Lori was responsible for creating and growing a newly formed Center of Excellence in Indianapolis, IN. 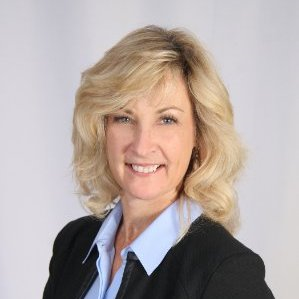 Curious about the opportunity to grow a smaller organization, Lori moved to Helmer Scientific, and currently is the VP of Global Sales and Marketing. Helmer is a privately held medical device manufacturer that sells and markets in over 100 countries globally. Lori loves developing future leaders and served as a guest speaker and board member for the Life Sciences Certification program at Indiana University’s Kelly School of Business. Lori is passionate about women’s health and served on the American Heart Association board in Indiana and currently participates as a board member for Global Healing. Lori is a Medical Technologist with a BS from Indiana University and a BS in Biology from Purdue University in Fort Wayne. She also spent a year in an executive leadership program at the London Business School.